I’ve had to split things up as the book is divided between flashbacks and present day stuff. Victor and Eli were roommates, but they fell out when Eli gave himself superpowers and Victor got jealous. Victor then sorted out his own powers. They fought. Victor was imprisoned. Victor breaks out of prison with help from Mitch. They come across a girl who can raise the dead. There’s a fight, Victor is killed, and Eli is arrested. Sydney revives Victor. Victor and Eli are roommates at university. We learn that Victor’s parents are famous authors. Victor was in love with a girl called Angie, who then got together with Eli. Eli was abused when he was younger. Eli’s senior thesis is about people with super powers. He researches people who apparently have super powers, and realises they all had near-death experiences. Eli tells Victor, and Victor volunteers to be a test subject. Victor overdoses on pills. Eli calls an ambulance. The plan doesn’t work. Eli becomes the next test subject. He submerges himself in an ice bath and dies. Victor resuscitates him. Eli has now gained the power to heal himself. Victor wants to give it a second try. Eli refuses. Angie helps instead and electrocutes Victor. 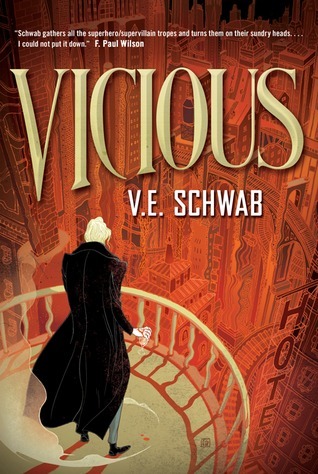 Victor dies, comes back to life, and accidentally kills Angie using his new power – the power to hurt people. Victor calls Eli in a panic. Eli calls the police, who arrest Victor when he runs. Victor comes up with a story but they still keep him in custody. Detective Stell asks Victor about the superpowers thing. Victor breaks out of jail and goes to find Eli. Victor stabs Eli and uses his power on him. Eli shoots at Victor and misses twice before hitting him. Eli tells Victor that he has lost his humanity. Eli says he’s going to kill Victor. Eli shoots Victor in the back and Victor loses consciousness. Eli tells the police that Victor attacked him. Detective Stell is on the case. Eli runs before Stell can find him. Eli kills his professor so he can’t share his thesis with the police. Eli starts searching for other people with superpowers, and killing them because he thinks that they’re unnatural. Eli tries to kill a girl called Serena. She controls his mind and asks him what he’s up to. They like each other and become partners. Serena goes to the police station and gets Detective Stell and Detective Dane to help with the search for people with superpowers. Now Eli has access to their files. Victor breaks out of prison with the help of Mitch. Victor is determined to find Eli. Instead he runs into a twelve year old girl called Sydney. Victor sees an article about Eli in the newspaper. Sydney tells Victor and Mitch that her sister is Serena. The two of them died in an icy lake. Sydney gained the power to raise the dead. Sydney met Eli when she went to stay with Serena. He made Sydney raise a dead person from the dead. Eli shot Sydney in the arm and she runs away. Victor asks Sydney to take him to Serena and Eli’s apartment. Serena isn’t there but she’s apparently still going to class. Victor wants to draw Eli in. He starts looking for other people with superpowers in the hope that he’ll run into Eli. Sydney shows Victor what she can do. She resurrects a dog, which she calls Dol. Sydney resurrects Barry Lynch, the last person Eli killed. Together, they all plan a bank robbery. Mitch starts searching for other people with superpowers. Most of the people he finds are dead. Mitch notices that all of Eli’s targets have been given similar middle names on the database. Eli kills a girl and then gets a phone call from Dane. Dane tells Eli about the bank robbery and says that Barry Lynch is there. Eli realises that Sydney is still alive. He calls Serena. Serena realises that Eli lied to her about Sydney being dead. Eli finds Barry Lynch dead at the bank. He finds a note in Barry’s pocket that says “I made a friend”. Mitch captures Dane. Victor goes to question him and ends up torturing him. Serena thinks they need to send a note back to Victor. Serena suggests using the police to flush Victor out. Victor realises that Dane is under Serena’s control and kills him. Sydney revives him, but Serena’s brainwashing is still working so Victor kills him a second time. Stell tells Eli that Dane is missing. Eli calls Dane’s phone and Victor answers. Victor tells Eli that he’ll see him at midnight. Stell calls a meeting with the police department and Serena tells them all that Eli is a hero, and Victor is an escaped convict with dangerous powers. Eli and Serena go hunting for more people. Eli shoots a guy called Zachary, and then goes looking for someone called Dominic. Mitch uploads Victor’s photo to the police database and includes the address where Victor is meeting Eli. Victor and Mitch go to save Dominic. Eli is already waiting for Dominic at a bar. Eli spots a big guy (Mitch) speak to Dominic, who then vanishes. Dominic is able to pause time and become invisible. Dominic meets Victor, who warns him about Eli. Victor promises to take Dominic’s chronic pain away if he helps him kill Eli. Eli follows Mitch to the bathroom and shoots him in the chest when he learns that he’s with Victor. Victor and Dominic find Mitch in the bathroom. Thankfully, he was wearing a bullet proof vest when Eli shot him. The three of them steal a car and drive back to the city. Sydney loses her dog. Serena hears Sydney calling for it. Serena controls Sydney’s mind and tells her to go somewhere safe, so Sydney goes to find Mitch. Unfortunately, Mitch is at the Falcon Price, ready for Victor’s meeting with Eli. Serena tries to control Mitch’s mind and make him shoot himself but his gun is empty. Sydney shoots Eli but he heals. Obvs. Victor kills Serena and burns her body. In a truly vicious act, Eli shoots and kills Sydney’s dog. Dominic saves Sydney from getting shot. Dominic goes back for the dog and Sydney brings it back to life. There’s a massive fight between Eli and Victor. Victor is probably angry about the dog being shot tbh. Eli stabs Victor in the chest and Victor dies. The police show up and arrest Eli, since Serena is no longer brainwashing them. Eli tells the police to burn Victor’s body but they don’t listen to him because it sounds like a crazy thing to say. Sydney brings Victor back to life.